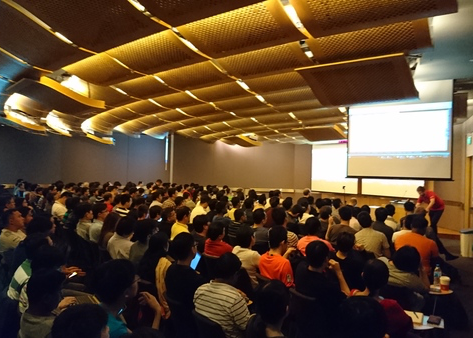 Xamarin Dev Days are coming to Singapore! Xamarin Dev Days provide attendees with a hands-on learning experience. Spend the morning exploring mobile development with sessions from Xamarin, our technology partners, and members of your local developer community, then roll up your sleeves for an afternoon dedicated to diving into code. We have an amazing lineup of international Xamarin VIP’s joining the event. Karl Krukow: Karl Manages the Xamarin Test Cloud engineering teams and is the co-creator of the mobile test framework Calabash, now known as Xamarin Test Cloud. Martijn van Dijk: Martijn is a Xamarin consultant at Xablu, Xamarin MVP, contributor of the MvvmCross framework, and creator of several Xamarin plugins. Rui Marinho: Rui is part of the Xamarin.Forms dev team, and is the creator of the Xamarin Forms Labs framework. Michael Ridland: Xamarin MVP, Community Blogger and founder of XAM Consulting, creators of a few Xamarin.Forms components including the FreshMvvm Framework. Ben Ishiyama-Levy: M.C, Xamariner and cucumberist.